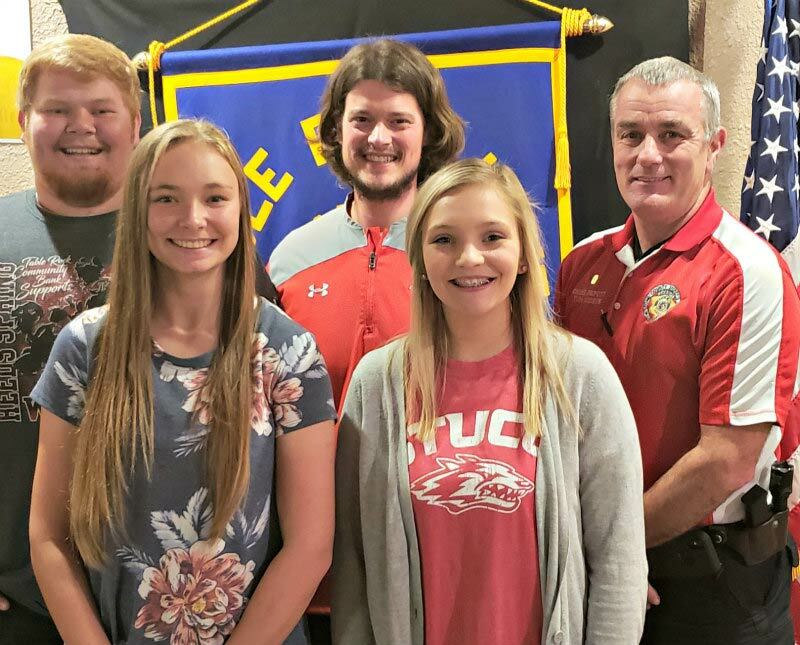 Members of the Reeds Spring High School Cornerstone Class were the guest speakers at the November 30 meeting of the Rotary Club of Table Rock Lake. The group shared information about “Miracle on Wolf Lane”, which will take place on December 15 from 1:00 until 3:00 PM at Reeds Spring High School. The event is designed for families to enjoy Christmas activities together and will feature cookie decorating, coloring, games, and a visit with Santa. Pictured are front row (left to right): Brooke Davis and Kyndall Porter. Back row (left to right): Parker Maloney, John Kessinger, and Rotary Club of Table Rock Lake President Tim Gideon.